There is something positively unique about soaking in an all-natural cedar hot tub fired by wood. For some it is the natural scent of cedar and the campfire smell of the logs burring in the fire box. For others it is the deep soak of sitting is a 4 foot tall hot tub that provides a unique buoyant floating experience that cannot be found in sallower plastic tubs. And for some it is the simplicity of an ancient art of cooperage that hold the 300-400 gallons of water without any pump noises other than the occasional crackle of the timber in the fire. Whatever it is that draws you to a wooden hot tub, one thing is certain. It is an experience that can never be matched by a plastic or acrylic tub! At Timberline Wood Water Stoves, we have partnered with Northern Lights Cedar Tubs to provide you with a world class wood fired hot tub. The craftsmanship and materials are second to none! 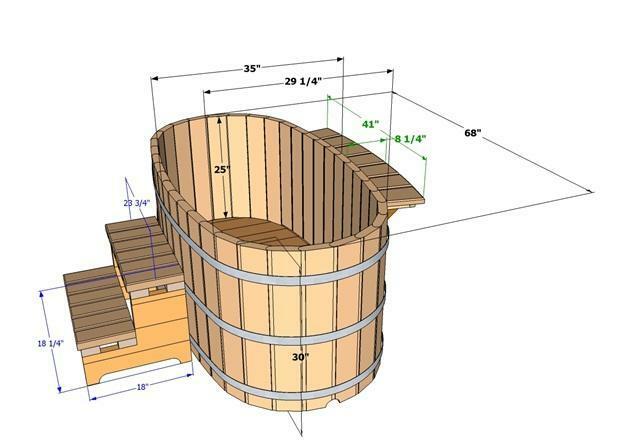 Stainless steel straps, Clear Grade “A” western red cedar and customized cedar accessories make these the finest wood hot tubs found in the world. 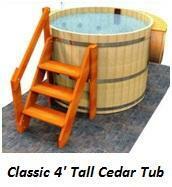 We offer the traditional classic wood fired hot tub in 3 sizes ranging from a 4-8 person hot tub. All our wood hot tubs come complete with a fully insulated cover that provide a R14 heat loss value as well as safety features such as an aluminum center spine to prevent cracking from snow load or animals, child proof safety locks and marine grade vinyl cover that has UV inhibitors to protect it from the sun. A hexagon seating structure allows bathers to enjoy a social seating circle. The special step in seat is ideal for entry as well as kids or those that want to cool off but not leave the tub. We also offer the Japanese inspired Ofuro wood fired hot tub which is an ancient ritual that has been practiced for centuries. The Zen Like soak in an Ofuro tub is both meditational and spiritual. This whole body cleanse is believed to clear the mind and soul and is still practiced religiously in Japan and has grown in popularity thought the world. An Ofuro tub is a deep wooden tub that allows bathers to soak right up to their necks, it is not a place of bathing as one bathes before entering the Ofuro. Instead it is a place that heightens the spirituality and cleans the body of the daily stresses. >Cooperage is defined as the ancient art of cask or barrel making. This is the same design that is used in our wood fired hot tubs. Each vertical board is known as a stave and together they form a conical connection that when soaked cause the barrel to expand and form a water tight seal. This same principle can also be found on wooden boats and ships that have sailed the earth for centuries. 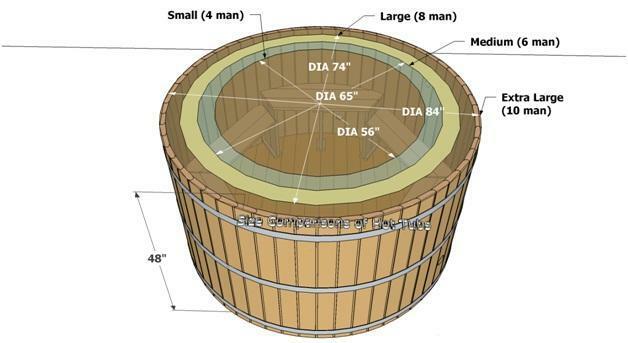 The wood fired hot tubs come as an easy to assemble DIY kit. A typical tub can be assembled and filled the same day. 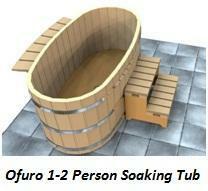 Note the Ofuro Tubs come pre-assembled and can fit through any 30” door. 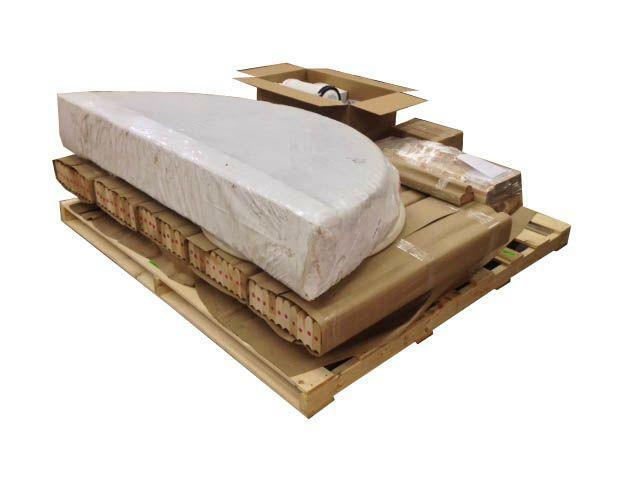 Each kit is shipped on a pallet and because of its compressed size can be shipped at ¼ of the price of a fully assembled hot tub. The tubs require no specialty tools other than a drill, screwdriver, adjustable and a rubber mallet. The floor comes completely pre-assembled and all through ports for the wood fired heater are done for you. 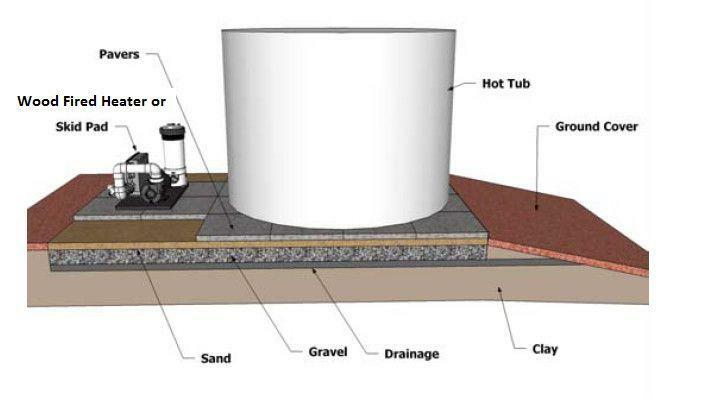 A wood fired hot tub is only suitable for outdoor locations as a result of the smoke stack and fire box. When locating your hot tub or ofuro tub you should consider a few things. A level pad should be created using gravel and patio pavers to provide a solid footing. The locations should be private so you can enjoy your soak without disturbances. A nice view can heighten the experience! When deciding where to place the tub consider the waking distance in and out of the house, a long distance in the cold fall can be a challenge for some. Access to a garden hose for filling and draining the tub is another consideration.